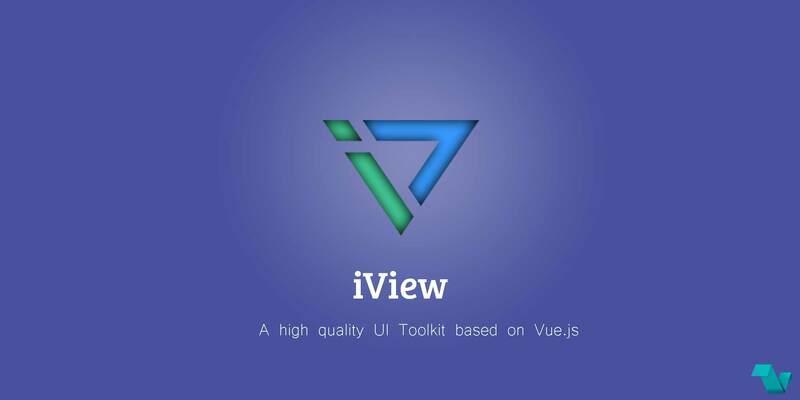 iView is a set of UI components and widgets built on Vue.js. The UI framework is coming up to 10K stars on Github and released version 2.4 a few days ago with upgrades & fixes. The team has also added jsFiddle instant demos for all components. When you are viewing a component you can open it at jsFiddle to review and edit the code. iView is a set of front-end solutions developed by TalkingData for intermediate and backend business, including engineering, theme customization, multi-language and other functions, greatly improving the development efficiency. There is also an iView CLI which is recommended to quickly construct a project with iView, as well as a Starter Kit iview-project. After install & import here is a small example of a slider component to get a taste of the iView UI toolkit. Dozens of useful and beautiful components. Friendly API. It's made for people with all skill levels. Supports Vue.js 2 and Vue.js 1.
iView does not support IE8 or below since Vue.js is using Object.defineProperty which do not be supported by these browsers to track changes. Questions: you can find other users at Gitter chat or post on StackOverflow using iview-ui tag Bugs: file an issue here and please provide an example so we can help you better Contribute: welcome to contact us in Gitter chat, WeChat or via mail to admin@aresn.com. PRs welcome! The repository of iView is located on GitHub under an MIT license. Follow iView on Twitter for news and updates.